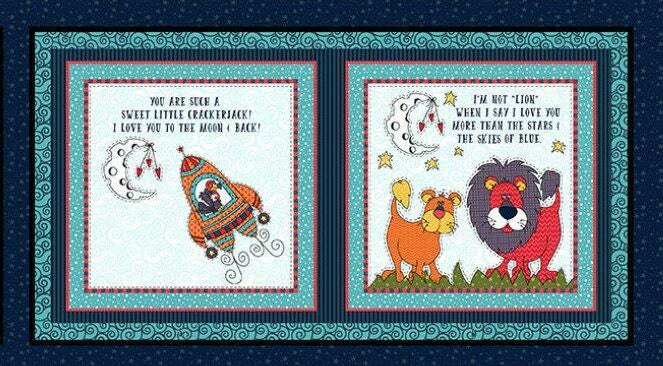 Leanne has designed another beautiful print, To The Moon And Back. 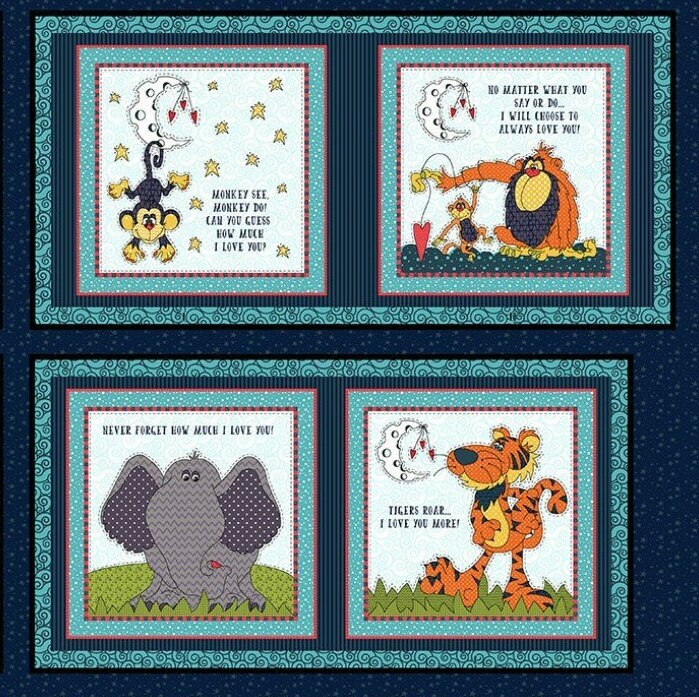 A wonderful cotton cloth book depicts whimsical animals with delightful sayings, "You Are Such A Sweet Little Crackerjack! I Love You To The Moon & Back. 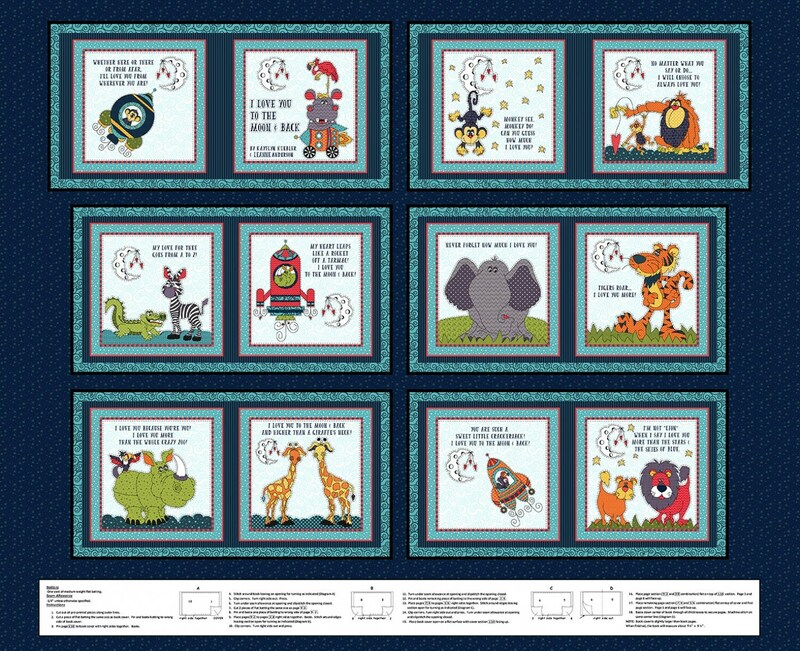 Each block measures approximately 8 x 7 1/2 inches. 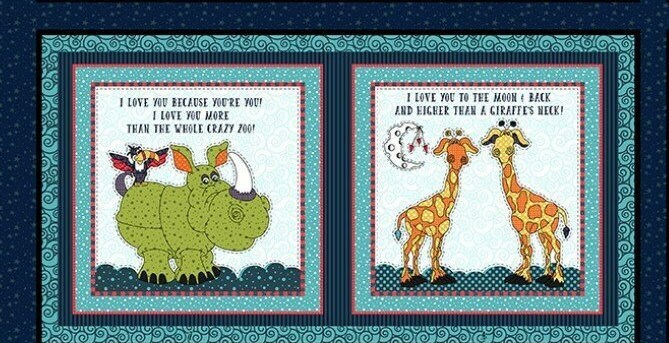 Inside each block a delightful animal with a fun saying to express to your little one how much they are loved. Beautiful shades of blue, red, orange, yellow, brown and gold. 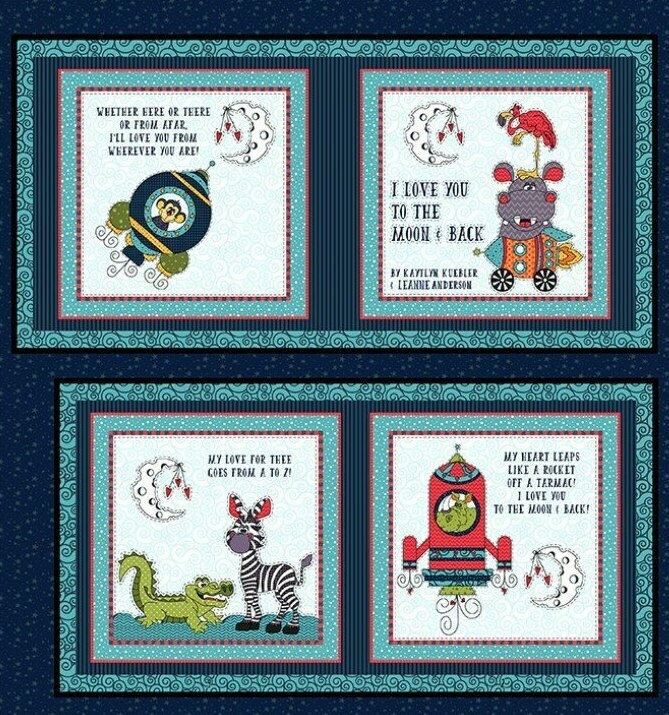 Pair our wonderful matching panel of these fun animals for a beautiful baby gift. All fabric from The Quilted Nursery is cut directly from the bolt in continuous yardage. We now offer fractional yardage cuts for your quilting and crafting convenience. All orders are shipped same day and all shipping overages are refunded upon shipment of fabric.